The aim is to tell the stories of 600 years from its inception as a Carthusian Monastery, a place of silent worship, a Tudor home, market garden and a Victorian home, until its last owner Colonel William Wyley bequeathed the house to the city. The ultimate aim of the project is to live up to the wishes of this bequest. PCPT are assisted by BPN and LUC. Three key themes will be recognised: Reflection, Discovery and Adaption. Through these themes we will be able to explore key times in the site’s history, but also acknowledge that there is still lots of history to be discovered through ongoing Archaeology and research. 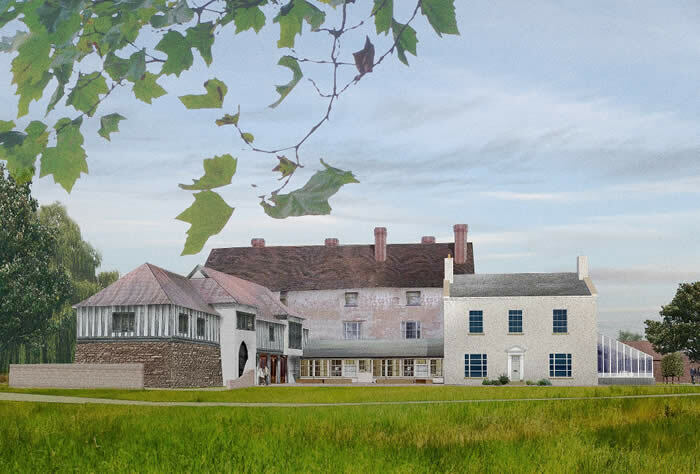 With the support of Heritage Lottery Fund, Historic England and other supporters, the Trust aims to restore the Charterhouse as a heritage attraction for the people of the city and beyond. New facilities will include a café, shop, visitor centre and a conference, wedding and events venue, as well as large, varied gardens and parkland.